If you love cartoons (and I think it's safe to assume you do), Rick and Morty should definitely be on your radar. Created by comedian Justin Roiland (Earl of Lemongrab on "Adventure Time," various voice acting jobs) and writer Dan Harmon (creator of "Community," "Heat Vision and Jack") "Rick and Morty" is, by far, one of the strangest, coolest new TV shows on right now. 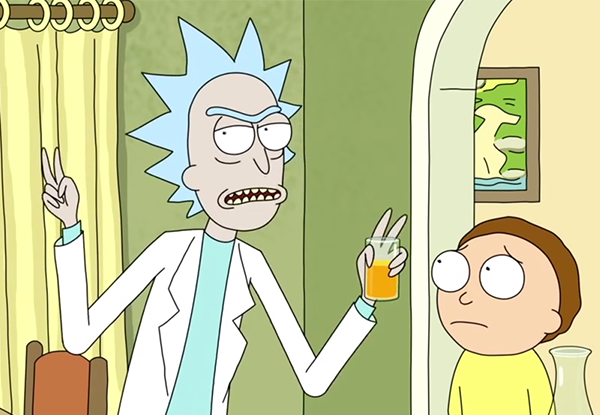 Centering on the adventures of Morty, an average 14 year old boy, and his scientific genius, alcoholic grandfather, Rick. Following their adventures through space, as well as different dimensions, pretty much anything is possible (monsters, aliens, mini-verses, memory parasites, the list goes on). One of the things so enjoyable about the show is the fact that you can never guess what's going to happen next. Not only is Rick and Morty completely chaotic, it's also one of the more philosophical cartoons I've ever seen. 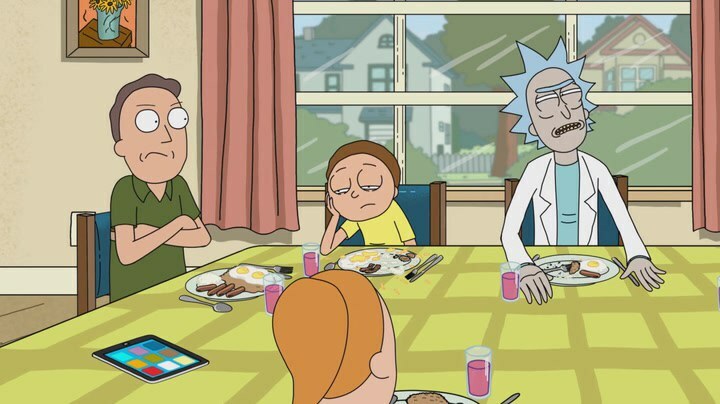 Ranging from nihilism to existentialism, Rick and Morty isn't afraid to show its viewers how messed up of a world we live in, and how none of it really matters. Look below to see 10 quotes that demonstrate the absurdity of life in Roiland and Harmon's hit series. 10. "Listen, Morty, I hate to break it to you but what people call ‘love’ is just a chemical reaction that compels animals to breed. It hits hard, Morty, then it slowly fades, leaving you stranded in a failing marriage. I did it. Your parents are gonna do it. Break the cycle, Morty. Rise above. Focus on science." - Rick, "Rick Potion No. 9"
Rick's views on love, a perspective that his scientific and analytic mind has accepted, stems from his failed marriage as well as his daughter's rocky one. We learn a lot about who Rick is as a person in moments like this. Besides condemning the institution of marriage, we see him attempt to rally Morty to do better. 9. "I'll tell you how I feel about school, Jerry: it's a waste of time. Bunch of people runnin' around bumpin' into each other, got a guy up front says, '2 + 2,' and the people in the back say, '4.' Then the bell rings and they give you a carton of milk and a piece of paper that says you can go take a dump or somethin'. I mean, it's not a place for smart people, Jerry. I know that's not a popular opinion, but that's my two cents on the issue." Right out the gates, Rick goes for the throat of the education system, holding that the way we educate children is flawed. Much like many smart people before him (Einstein, Bill Gates, to name a few), Rick points out the problems with schools and how not everyone can benefit from them. 8. "What about the reality where Hitler cured cancer, Morty? The answer is: Don't think about it." Rick and Morty jumps from dimension to dimension as easily as someone walks down the street. With infinite dimensions in front of them, Rick and Morty face countless different possibilities where anything can and will happen. Rick knows this, and assures Morty that thinking about the scope of it just isn't worth it. 7. 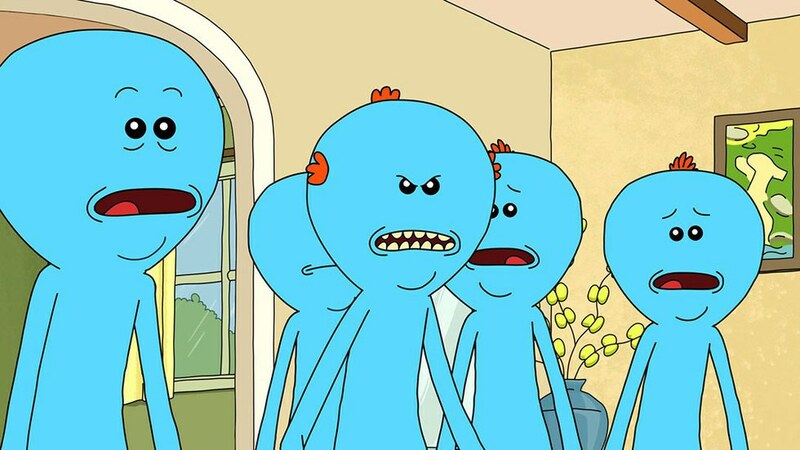 "Existence is pain to a meeseeks Jerry, and we will do anything to alleviate that pain." - Mr. Meeseeks, "Meeseeks and Destroy"
Mr. Meeseeks are a group of beings that exist for one purpose: to complete a task, then disappear. When stuck being alive longer than a few hours, they begin to mentally break down, the awareness of their own elongated existences brings them pain. Once again, Roiland and Harmon bring about an existential view of the world. 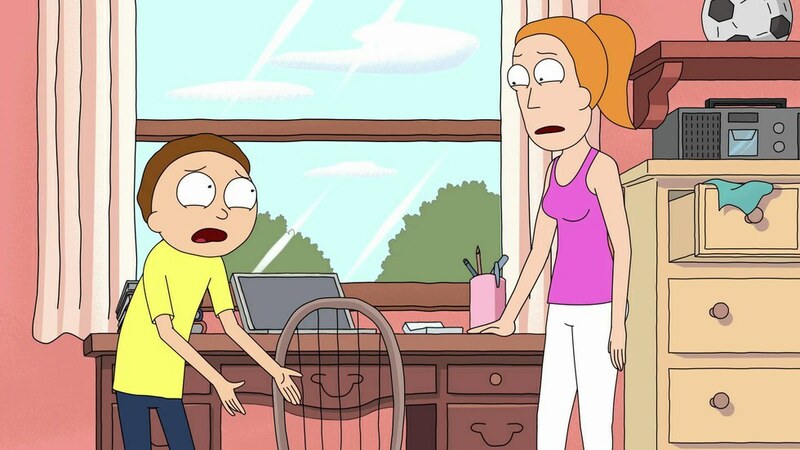 During the first season, Morty gives an amazing speech to his sister, Summer, about the futility of life and the chaotic nature of the universe. This poignant line towards the end of the episode hints at the heart of the show's nihilism. 5. "There is no god, Summer; gotta rip that band-aid off now you'll thank me later." - Rick, "Something Ricked This Way Comes"
Seeing the cosmos and nearly an infinite amount of dimensions has informed Rick's opinion on the existence of God. The show doesn't hold back on who Rick is as a person, demonstrating that through quotes like this one. 4. "Let me out, what you see is not the same person as me/My life's a lie, I'm not who you're looking at/Let me out, set me free, I'm really old/This isn't me/My real body's slowly dying in a vat/Is anybody listening, can anyone understand/Stop looking at me like that and actually help me/Help me, help me I'm gonna die/Tiny Rick"
- Tiny Rick's Song "Let Me Out", "Big Trouble in Little Sanchez"
This song by Tiny Rick (a clone of Rick with his consciousness inside) is brought about by Tiny Rick's teen angst which shows his inner thoughts. It makes the viewer question who Rick really is in this moment, and what being a clone has done to him. 3. "Sometimes science is a lot more art than science. A lot of people don't get that." Science has a bad wrap to some of being all about the pursuit of knowledge and not much else, but in "Rick Potion No. 9", Rick points out the beauty that can be found in all of science, something that a lot of people forget. 2. "What is my purpose?" "You pass butter." "...Oh my God." "Yeah, welcome to the club, pal." 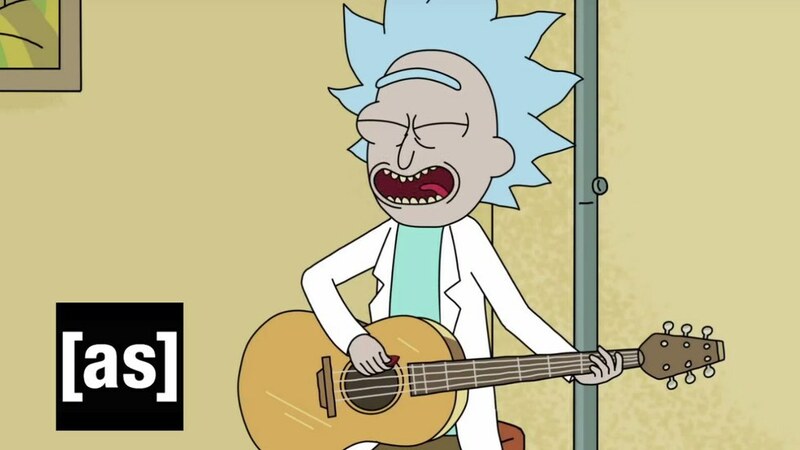 - Butter Robot, "Something Ricked This Way Comes"
One of the best aspects of the show is Roiland and Harmon's ability to slip in moments of extreme existentialism seemingly out of nowhere. This exchange at breakfast between the Butter Robot and Rick questions the purpose of life and how not just this little robot has an existential crisis about it, but everyone does as well. 1. "Wubba lubba dub dub!" 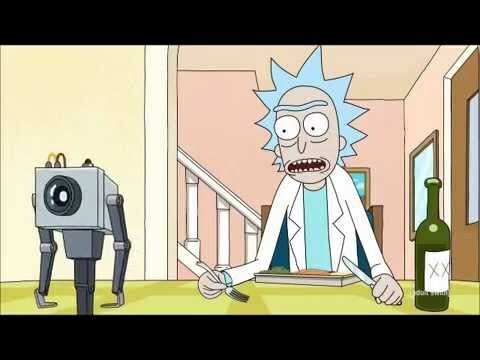 Rick's signature catch phrase may seem like a bunch of gibberish, but one character reveals that it is much darker than that. I won't spoil it for you, but pay attention to it throughout the first season.